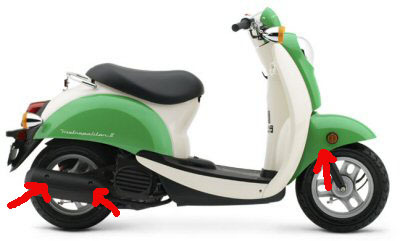 stolen from my front yard between the hours of 12am and 4am on tuesday morning, may 10,2005. it has two scratches/cracks on the plastic of exhaust guard around the bolts and the front cowl has a slight mark on the right right by the front fork.Please help me find my scooter. Stolen from sidewalk on Speer Blvd. and Arapahoe St. Parked with several other scooters which were not stolen. 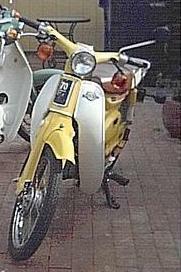 This yellow Honda C70 was my girlfriend's sole motorized vehicle. It was probably thrown in the back of a pickup and taken to Mexico, rural Arizona, or maybe Phoenix. City, State: Victoria , B.C. Stolen from front garden. by passed alarm/immobilliser and D-lock. Has silver/grey back box on it. it was parked in my lot right next to my friend's bajaj. his scooter was not touched. it has a rear rack with a backrest. the front fender is slightly bent and the left cowl has some scratches from someone knocking it over a few months ago. Stolen from apartment complex parking lot in Crystal City. Kryptonite lock cut with some heavy clippers, apparently. The scooter was a faded orange after I painted it, couple of stickers on it, no license plate. Attacked photo is the same make and model. 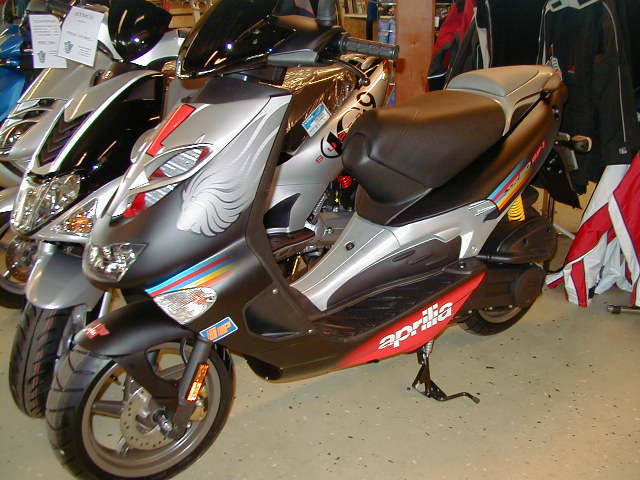 My scooter was stolen from my drive way along with my truck. The truck was found a few blocks away. The scooter was missing along with other items taken from the truck. 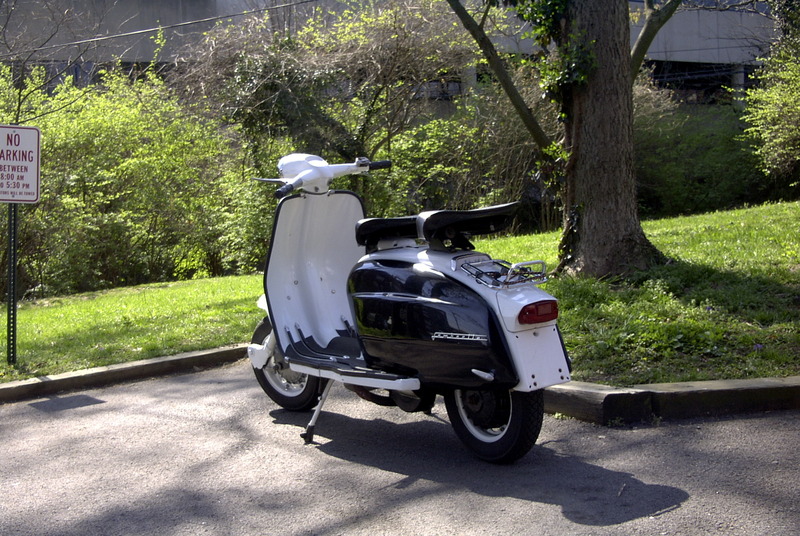 The scooter has a black metal plate at bottom of leg sheild. and the seat is refurbished it is also missing a speedo. the side panels were removed at time of theft. 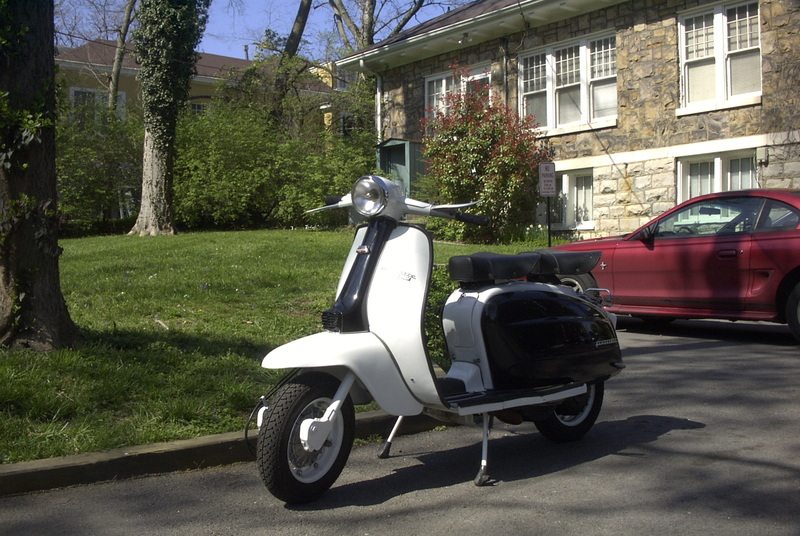 Scooter was taken from 821 S. Robinson St. from the back patio. 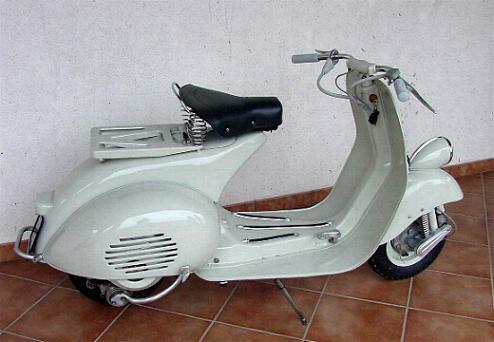 Sorry; I know it's not really a scooter. I had just got it to restore for my wife to ride, when someone got into the back yard of my apartment building and took it. 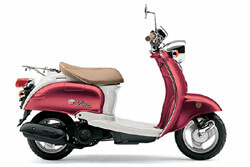 They left my P200 and my Ducati Brio, though, so it could've been much worse. It was parked in the apartment complex lot. I still have the keys and original color and other pieces. Has 'Elvis' detailed on the left rear body panel. Stolen from behind building. There were many motorcycles and loose helmets that were not touched. The head and tail lights do not work and the muffler is very loud. Had rust on lift side mirror bar. back bar behind set was repainted black to cover scratchs. lift side ruckus logo was scratched up. 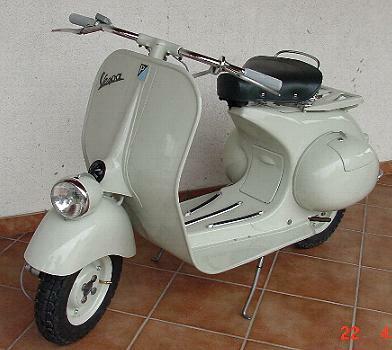 My Vespa is Gumbi Green with White Diamonds on the headset and along sides of the frame. The buddy seats are also green with white diamonds. 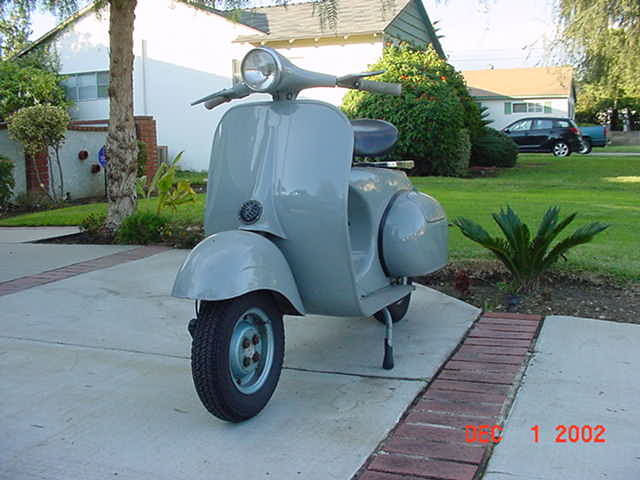 The front seat is a saddle seat and the rear is a square buddy seat with a rear spare tire and cover that matches. 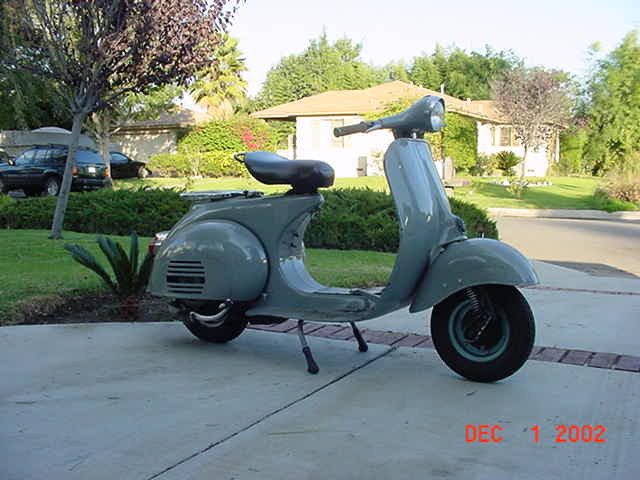 My baby was stolen between the hours of 2:00am and 9:00am from the Paseo Del Rey condo parking lot in West Las Vegas, in the Sumerlin, area off Santa Margarita st. zip 89146 during the High Rollers Weekend Rally in Las Vegas. Steering column was locked, so they'll probably break it. 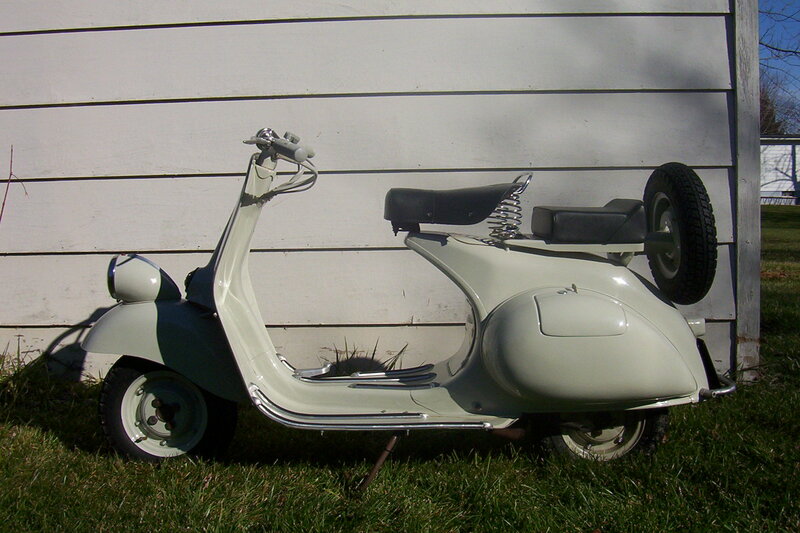 The Vespa is Green with white diamonds on headset and sides of frame, the seats are green with white diamonds, saddle seat and buddy seat with a rear tire cover that matches it was stolen from a condo parking lot in Las Vegas during the weekend of Vegas rally. 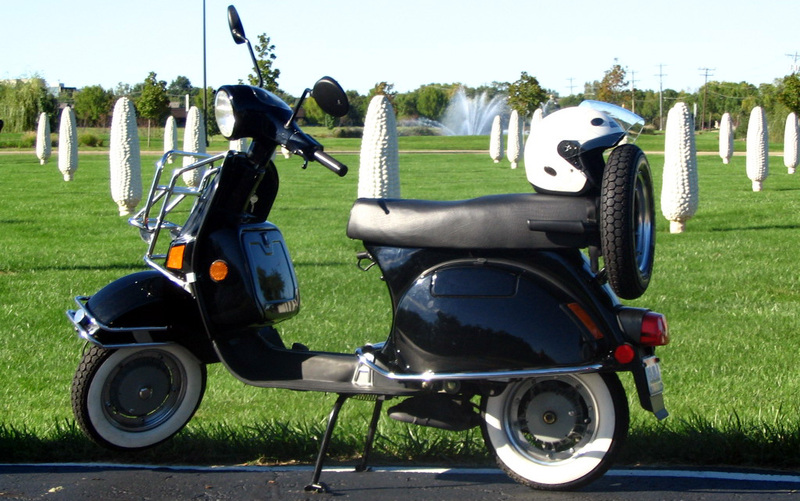 scooter had a black spair tire rack on back. kitted engine, and morrissey sticker on the left side that may not be there anymore. 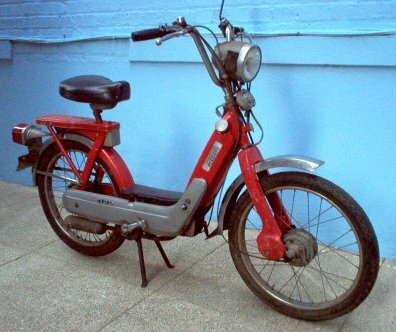 stolen from the cabbage town area in atlanta, ga and may be in the renolydstown area. reward offered. This was in the downtown area and there seems to be a rash of scooter thefts lately. It also has a matching top box and a crack on the left side floorboard. This was in the downtown area and there seems to be a rash of scooter thefts lately. Freshly powder-coated, new tires, motor not running. 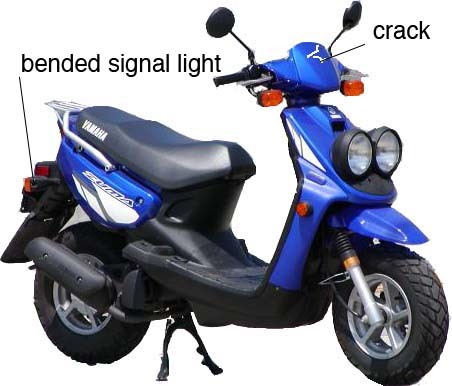 Following parts not on bike: Leg shield, tools, right side cover. 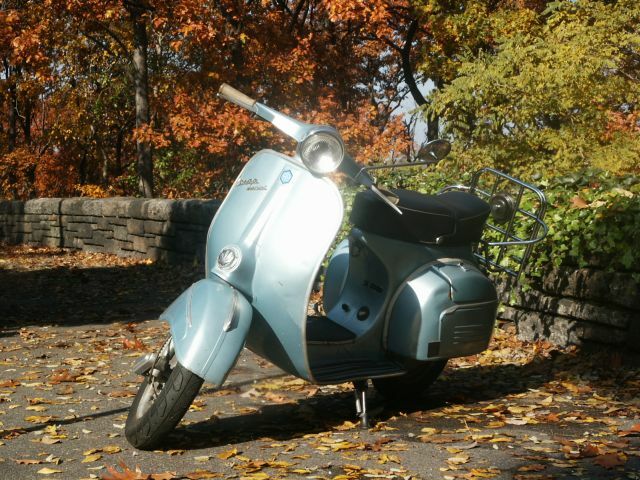 Stolen from inside locked garage in Clintonville between 7:30 P.M. and 9:30 P.M. 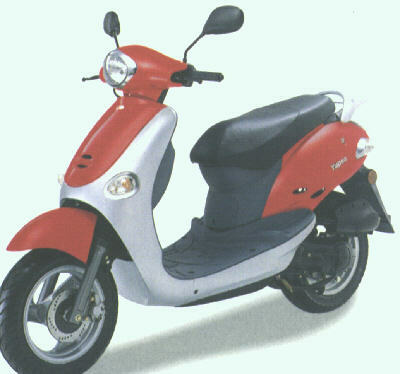 Stolen outside Dupont East Condominiums at the corner of 18th Street. Please call with any information you may have! Taken from Albertsons on Boulder hwy. and Tropicana. Stolen in front of the Bluehour Restaurant. Has chrome mirrors and rear luggage carrier. Small indention in front.